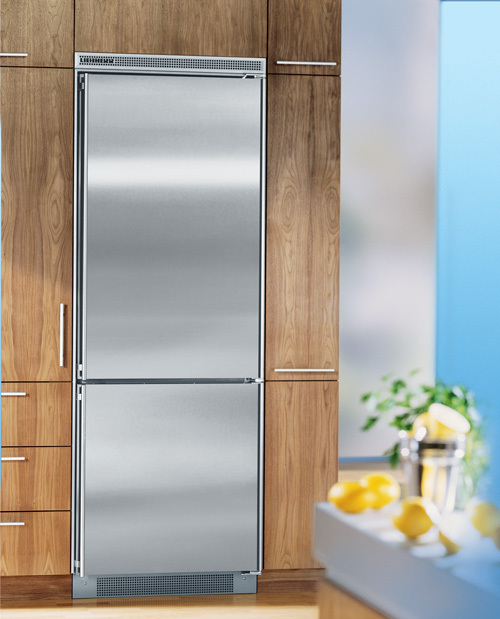 The Liebherr C 1650 built-in refrigerator – freezer with stainless steel door and transferable door hinges can be easily integrated into any kitchen layout. With the satin finish Glass – Line shelves and door racks, opening a combined refrigerator freezer is an experience in itself. High quality stainless steel trims enhance the harmonious interior of the refrigerator. The extra deep transparent drawers are an especially attractive design feature. They are removable so they give you a clear view of the contents and offer extra convenient storage.